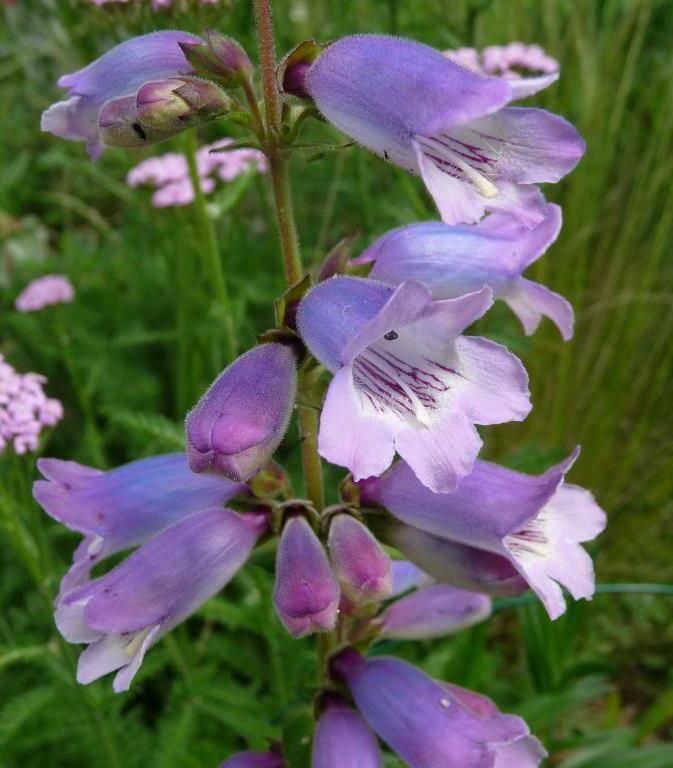 Penstemon Sour Grapes is a vigorous, erect, bushy perennial. Dense panicles of tubular, two- lipped flowers of unusual blue-grape colour, white in the throat. Flowers during summer and autumn. Grows in full sun or partial shade, in a fertile, well drained soil. Hardy if grown in a sheltered spot. Height 1m, spread 0.5 m.